If you are in the market for a mini PC that is capable of running either Android or Linux you might be interested in the newly upgraded Cubieboard 2 which now sports a dual core processor. The latest Cubieboard complete with Allwinner A20 ARM Cortex-A7 dual-core processor and Mali 400 MP2 graphics is now available to purchase directly from the Cubieboard website for $59. Other features of the Cubieboard mini PC include 1 GB of RAM together with 4 GB of internal storage for applications and files together with a microSD card slot which is available for expansion when required. 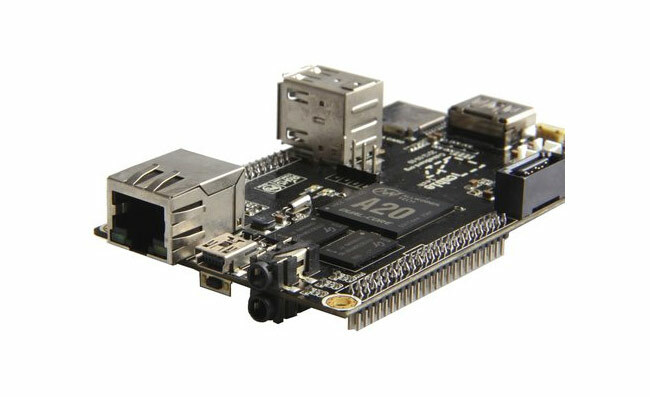 Ports on the Cubieboard include a HDMI, SATA connector, 10/100 Ethernet, 2 x USB 2.0, 1 x IR port and 96 pin extended interface.